What is the best text to speech online application? You want to create a youtube channel and make videos or you want to create Elearning materials and you don't have a good voice or no studio or even you have a low budget to ask freelancers to convert your text to speech so don't worry natural text reader solve the problem and give you the ability to do that in one single click. Natural text reader is a free website that allows you to convert your text or documents to natural sounding voices, it offer unlimited access to 50 voices from 18 differents languages. You can choose any language and any voice you want to convert your text to speech easily and quickly. and theres are many Advantages of using Natural Text Reader like making youtube videos and earn money from adsense and there are a lot of channels that combine text to speech with some images and make Videos, or making elearning courses and sell them on udemy or even improve Literacy Skills and learn a new languages. 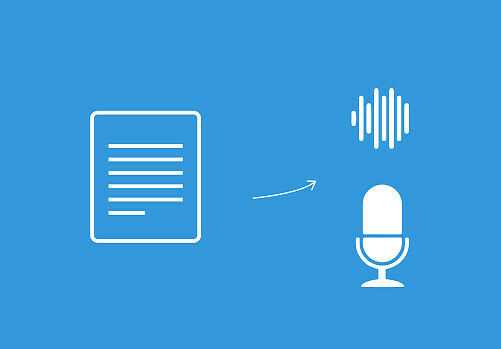 There are some websites that offer this ability to change text to voice but they are very expansive and don't allows you to publish the generated audio and there are some websites that offer this ability for free but they are offering very low quality voices instead Natural text reader offer good quality and natural voices for free. There are endless opportunities to do with natural text reader, don't delay to check all these opportunities and try all avialable voices.